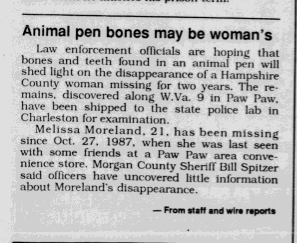 On October 24, 1987, 21-year-old Melissa Moreland left her parents home near Paw Paw, West Virginia. They were under the assumption that she would be spending that night with a friend, completely unaware that as she closed the door, it would be the last time they would ever see her. At this time, the identity of whom Melissa was supposed to be staying with is unknown. The last time anyone reported seeing her was later that night (time unknown) at a now-defunct gas station called “High’s” that was located in Paw Paw. Now even more unknowns, who saw her last. The exact time. Was she driving? What was she driving? Who was she with? I’ve not been able to find any of this information. Although Melissa lived with her parents at the time, she was known to leave for a few days at a time to stay with friends. So this consequently lead to a delay in the amount of time that passed before she was reported missing. 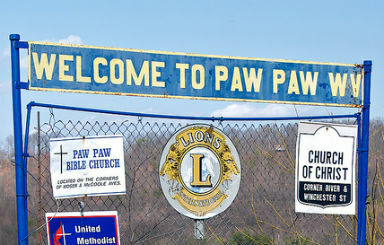 In 1989 remains were found in an animal pen, they were sent off for examination and possible identification. Hopes that the body of Melissa had been discovered, but apparently it wasn’t her. 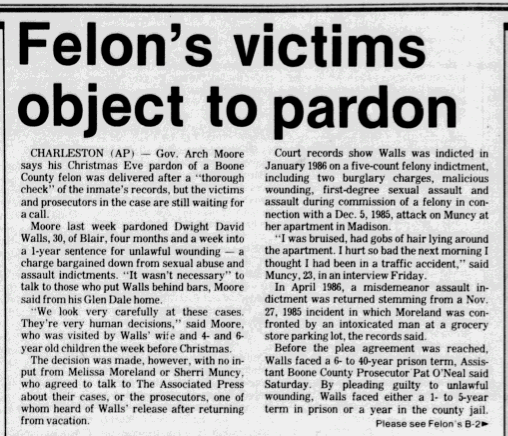 I was able to acquire an article about the pardon of a prisoner named Dwight David Walls, whom Melissa and another woman, Sherri Muncy had testified against. 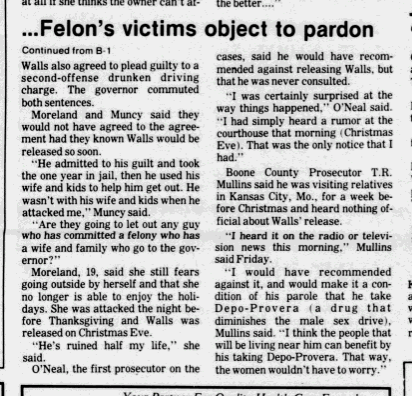 I would assume he was investigated, as it’s an unsettling coincidence that Walls would receive a pardon and then a few months later Melissa mysteriously vanished. Unfortunately, I haven’t been able to locate any other information in regards to Walls or Muncy. Detectives say there have been many leads over the years. Spanning from people claiming to know Melissa is alive to those that say they know where her remains are located. Even a few psychics have come out of the woodworks to attempt to assist. No one has given law enforcement any viable information, and she is still missing. In 2013 Melissa’s father passed away, and I can only hope that when he crossed over he was finally reunited with her. Melissa’s case is being investigated by the Morgan County Sheriff’s Department 304-258-1067.